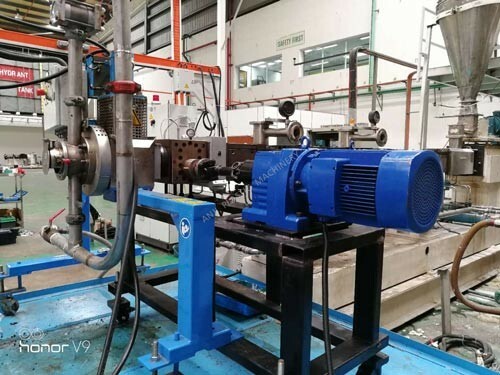 Anji after-sales engineer installed and tested AJCB-150 Melt Pump in Malaysia sucessfully. The customer rebuit PP Underwater Pelletization line, 250-350 kg/hr; twin-screw extruder 75mm. Melt pump replaced of the broken auxiliary extruder on the line, mainly used for melt transmission. The updated line with Anji Melt Pump worked smooth.